Many dental patients have experienced a boost in self-confidence after having cosmetic dentistry done at Rotem Dental Care in Toms River. We use it to create straighter, whiter teeth, and a more beautiful smile. Who wouldn’t get a boost from that? The term cosmetic dentistry encompasses many procedures. Each one is aimed at creating positive changes to your teeth and smile. We can tailor a cosmetic or restorative dental treatment plan to fit your budget. Teeth whitening is a surprisingly affordable way to attain a mega-watt smile without spending a lot. At Rotem Dental Care in Toms River, cosmetic dentistry revitalizes your smile, and is an investment in your appearance. 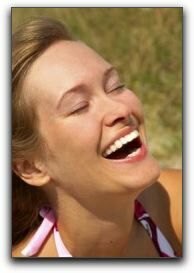 We also offer restorative dentistry. All of it begins with a plan. Call us today to schedule a consultation!